Join Peter, Mary, and their dog Hank as they discover ancient scrolls and travel back in time to stories in the Bible. They find a world filled with wonder, adventure, and danger. They must search for clues to solve the secret of the scrolls ... or they will be stuck there forever. 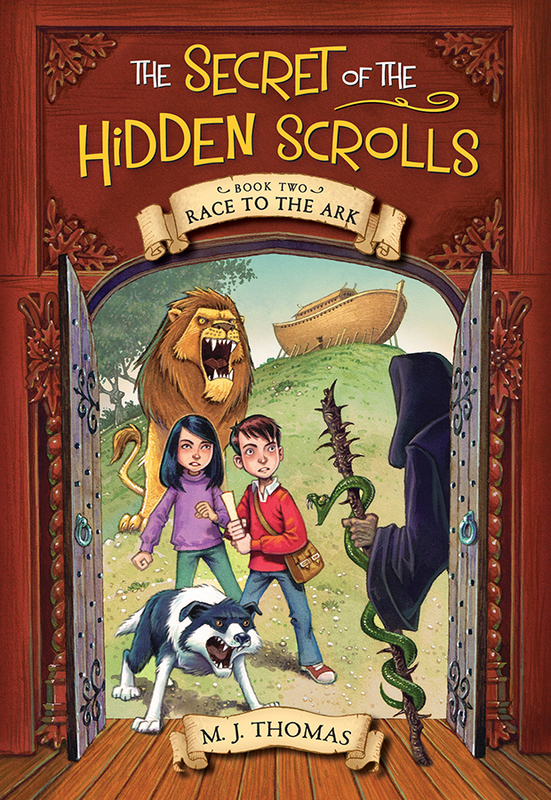 Perfect for emerging readers ages 6 - 9, homeschooling families, and lovers of adventure, The Secret of the Hidden Scrolls brings beloved Bible stories to adventurous life. Book 5 is Now Available! In The Shepherd’s Stone, the time-traveling trio wind up in Bethlehem, where they quickly befriend a young David. When David brings food to the his brothers on the battlefield, Peter and Mary go with him and witness the mighty taunts of the giant Goliath. As the clock runs out, Peter and Mary uncover a treacherous plot, help David prepare to face Goliath, and battle a mischievous and familiar enemy. 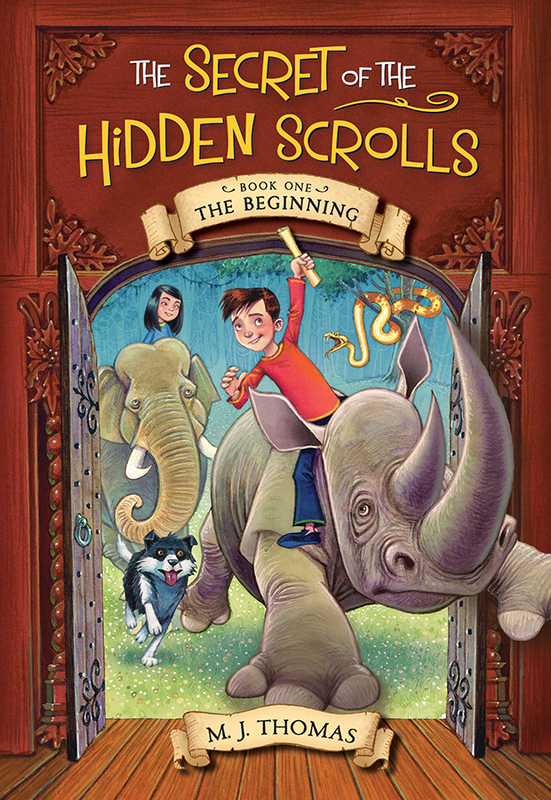 In the first title in the series, The Beginning, Peter, Mary, and Hank stumble across ancient scrolls and find themselves witnessing the creation of the world. Can they decode the scroll’s message before they get trapped in history forever? Children will root for the trio as they ride rhinos, meet the angel Michael, and talk to a certain snake in the Garden of Eden. In The Great Escape, Peter, Mary, and Hank journey to the pyramid-studded desert of ancient Egypt. When the trio befriends Pharaoh's daughter, they witness first-hand as Moses petitions Pharaoh for the Israelites' freedom. Plagues wreak havoc as the group races to solve the scroll, gets chased by a panther, and battles Pharaoh's cunning advisor, the Great Magician. In Journey to Jericho, the time-traveling trio journeys to an ancient desert to find the Israelites preparing to enter the Promised Land. With limited time to solve the secret of the scroll, Peter, Mary, and Hank go on a spy mission to Jericho; sneak Rahab to safety; and ultimately face the scheming “man in black” as the walls of the city begin to crumble. M. J. Thomas grew up in Florida playing sports and riding his bike to the library and an arcade named the Cosmic Cowboy. He graduated from Liberty University, earning a bachelor’s degree in Biblical Studies. When his son Peter was nine years old, Mike went searching for books that would teach Peter about the Bible in a fun, imaginative way. Finding none, he decided to write his own series. 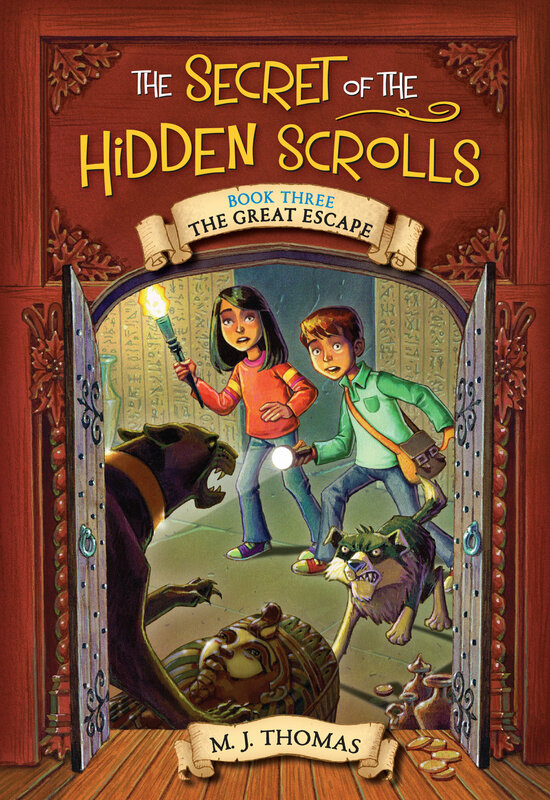 In The Secret of the Hidden Scrolls, Mike combines biblical accuracy with adventure, imagination, and characters who are dear to his heart. Peter is named for Mike's son Peter; Mary, for his niece; and Hank, for the family dog. Mike lives in Tennessee with his wife, Lori; two sons, Payton and Peter; and their dog, Hank. Find out why Mike writes The Secret of the Hidden Scrolls. Interested in having Mike for an author visit or to speak at your conference? Click here. “I learned that God always has your back and we can count on Him.” Madison M.
“I would love to read more!” Gracie Y. “I learned that God will always be there for you and I also learned that the Bible is a fantastic book!” Grant S.
“I learned that God will handle all of your needs but not always in the way you think.” Anderson R.
“God and the Bible are amazing.” Thomas S.
Join the Hidden Scrolls Club and get fun activity sheets and puzzles. You will also receive the latest news about upcoming Secret of the Hidden Scrolls books. If you are under 18 years old, your parent needs to complete the form. Thank you for joining the Hidden Scrolls Club! Here is the link to your fun activity sheets and puzzles!